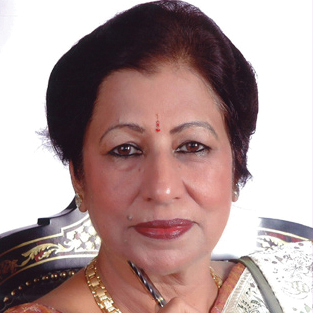 Dr Kusum Ansal is a novelist, short story writer, poet and travelogue narrator with 32 books to her credit. The movie Panchvati directed by late Basu Bhatacharya was based on her famous novel Uski Panchvati. The screenplay and dialogues of the movie were written by her. She has also written three serials for TV of which Titliyan was very popular. She is a recipient of several literary awards—'Hindi Academy Sahityakar Samman', Sahitya Bhushan Samman and IWEC in South Africa to name a few. Kusum Ansal has a Masters degree in Psychology from Aligarh Muslim University and a PhD in Hindi literature from Punjab University.